In recent years, we’ve seen the comeback of yellow gold and we could not be more thrilled. There is something so classic and elegant about yellow gold. The soft golden color looks beautiful on so many skin tones. And when you mix it with white gold? The results are breathtaking. 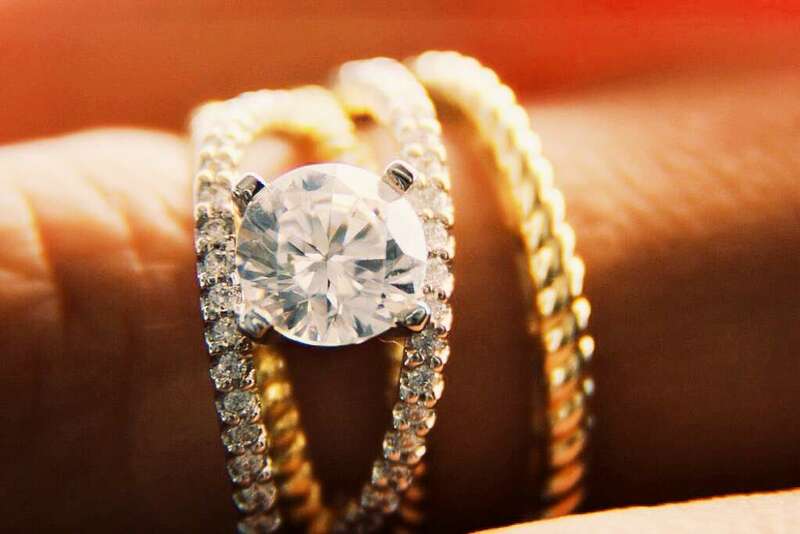 White gold and yellow gold complements each other, while helping the individual rings stand out. We’re not sure when the rules stating that the metal colors had to match, but times have changed. Be a rebel + have fun mixing and matching. If you’re looking for a unique wedding band look, try having a wedding band set with either both of your birthstones or having each band have your birthstones. Yellow gold compliments so many different colored stones and helps to enhance their color. Here are a few of our favorite yellow gold and white gold looks. Are you more of a mixed metal fan or do you like to keep it all one color?